The long-awaited national exercise of counting all people resident in Uganda as well as documenting other aspects of lives at the lowest level kicked off yesterday across the country. President Yoweri Museveni and his wife Jenet Museveni was one of the very first people to be enumerated at around 10AM on August 28, healing 2014. 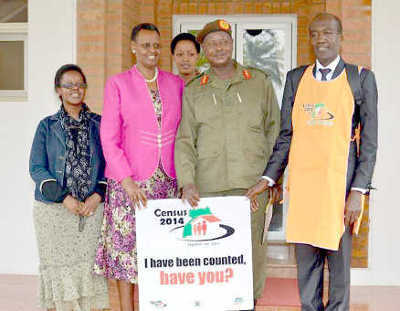 Up to 800, 000 enumerators about 16000 census supervisors who are traversing villages across the country to register all Ugandans as well as non-Ugandans who spent the night of August 28, 2014.